at the "little red house". 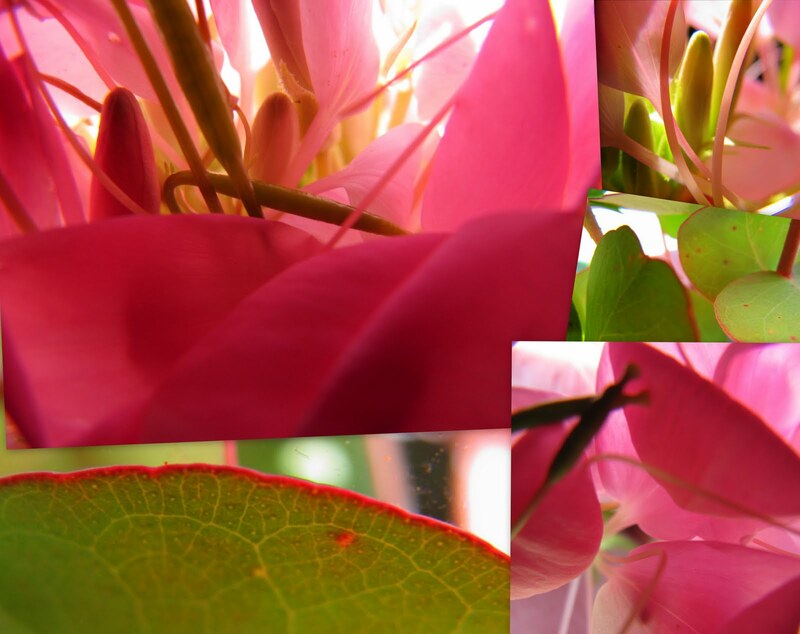 To view other mosaics or participate yourself, click HERE. 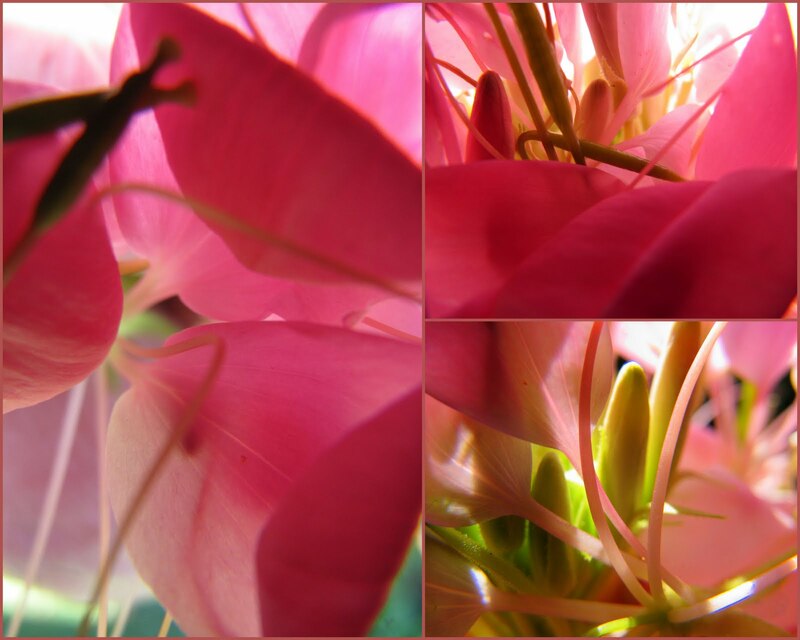 Oh yes, the pink flowers are macros of a cleome. The green leaves are eucalyptus. Love images and mosaic. Have a great week! Bonnie, these are just wonderful. The color knocks my socks off! 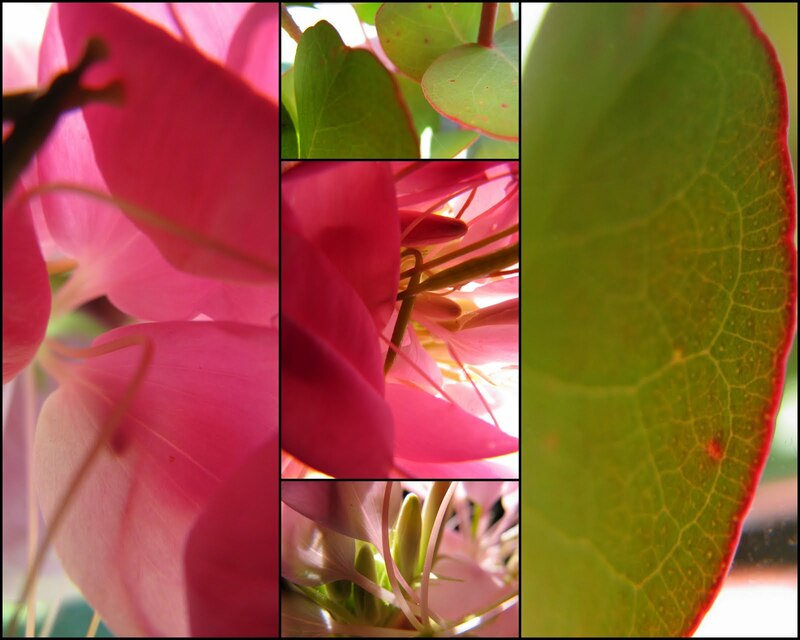 Gorgeous pinks and greens!!! The lighting is also wonderful!!! Such beautiful colors... instant mood enhancers. Very pretty mosaic creations today. Stunning mosaics. Have a great week. Loving those mosaics, beautiful colors too. The color is gorgeous...so vibrant! Love how the light is filtered. First time here..and I am in awe!!! I love the way you've composed each of these.